Wind spinners add a splash of color and sparkle to your garden in addition to repelling pesky birds. Birds fly away from moving objects; your swirling homemade wind spinners will keep them away from your plants. You can personalize these decorations to match a certain style or let your children help you make them as a rainy afternoon project. Either way, these crafts require simple supplies and very little time. Rinse and dry an empty soda bottle. Wrap the middle 6 inches of the bottle with alternating horizontal stripes of painters&rsquo; tape. Make sure each row of tape is straight and overlap the edges slightly for complete coverage. Color combinations may range from black and white to neon pink and green. Wrap your flexible measuring tape around your bottle just above the top stripe. Make chalk marks every &frac12; inch all the way around the top stripe. Repeat on the bottom stripe, starting from the same point. Connect your top and bottom marks together with straight vertical chalk lines. 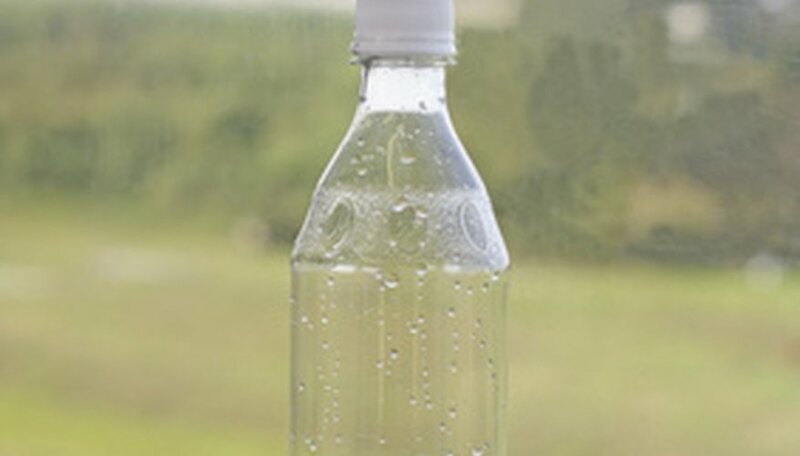 Poke your utility knife into the bottle and drag it down along each line. This creates slits in the bottle. Push the top of the bottle down; your slits should poke out. Pinch each slit in the center to create a lantern shape. Bend the bottom of each slit to the left away from the bottle, and bend the top of each slit to the right away from the bottle. This helps the spinner catch the wind. Drill 2 holes through the cap of your bottle, spacing them about &frac14; inch apart. Nip about 2 feet of 12 gauge craft wire and bend it into a U. Slip an arm of the U through each hole in your cap from the bottom. Twist the U arms together and bend the top into a loop. Screw the cap onto your bottle and tie fishing line to the loop, then hang your bottle spinner in the breeze. Lantern hooks, clotheslines and tree branches are all good spots to hang it. Nip a 3 foot piece of &frac14; inch thick steel or copper wire. Bend the top 4 inches or so into a hook shape. Leave about 2 inches of wire after the hook, and then press the wire against the top of a garden spike. Try to find a wooden garden spike about 2 feet long that tapers from 3 inches to about 1 inch. Wrap the wire slowly around your garden spike, spacing the wraps about 2 inches apart. Stop wrapping when you get to the last 4 or 5 inches of your wire. Let this part hang free and straight. Open your plastic ornament ball. Many craft stores sell customizable balls; they should pop open easily. Dip a paint brush in iridescent paint and dribble the paint into the inside of the ball. Repeat with several other colors until you cover the inside of both halves. Allow the paint to dry overnight, paint-side up. Snap your iridescent ball together. 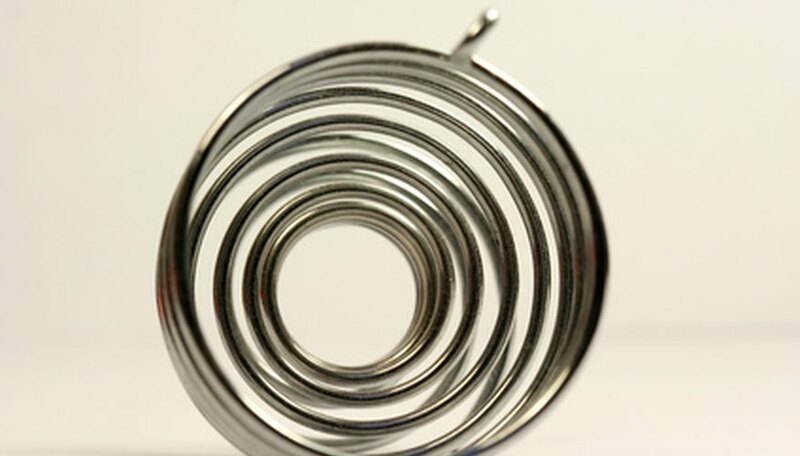 Gently push it between two levels of your wire spiral, adjusting the wires so the ball is snug. Tie a bit of fishing line to the hook and hang your wind spinner wherever you like.